From the Fans, to the Fans. Miami Dolphins talk the way it should be. Join Rich, Tony and The Hen, from Phinfever.com, as they talk everything that is the Miami Dolphins. It all gets started with the NFL Draft shows and continues till the final whistle of the regular season. 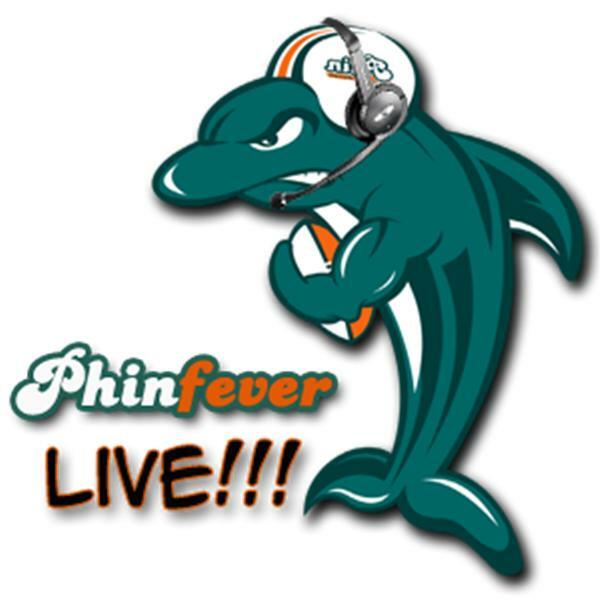 Be sure to check back for show updates and check out phinfever.com/forums for updated Miami Dolphins news. Join Rich, Tone and The Hen as they recap the Dolphins 2012 Draft picks. The guys are back!!! Join Rich, Tone and The Hen as they look ahead to the Dolphins 2012 Draft. QB? Not so fast. Tune in LIVE!!! to hear what the guys think. Join Tone, Rich and The Hen as the discuss the Miami Dolphins 2011 Draft options. Will it be a QB, RB or D? Tune in to hear what the guys from phinfever.com think. Tune Live as Rich, Tone and The Hen recap the Dolphins vs Patriots game. Well, we have reached the end of the 2010 regular season. The Dolphins finish it out on the road against the playoff bound Pats. Tune in Live!!! as Rich, Tone and The Hen get you ready for the game. Tune in as Rich, Tone and The Hen re-cap the Lions vs Dolphins game. They Dolphins needed this game bad against the Bills in Miami. Tune in Live!!! as Rich, Tone and The Hen recap the game. Dolphins pretty much need to win out and get some help to make the playoffs. It starts against the Buffalo Bills in Miami. Join Rich, Tone and The Hen as they get you ready for the game.